Hi, everyone! Adena Helm here! Have you ever wanted to add some visual texture to your paintings or projects? I have used Golden Gloss Medium as the adhesive, Golden Paints, Golden Glazing Medium, Gold Acrylic Spray Paint, and StencilGirl® stencils of course! StencilGirl® Products has great stencils with so many to choose from to fit any project you are working on! Check out www.stencilgirlproducts.com. If you want to see more of my artwork visit my website www.AdenaHelmArt.com, on Instagram or Facebook at Adena Helm Art! Thanks for watching! It's fascinating to watch your technique as you develop this painting. Thank you! Fabulous layering, stenciling, shading, and mix of colors! Loved watching you paint this!! Why do you wet your collage paper before adhering? Fabulous video and techniques! Thank you so much for sharing! This is fantastic! I loved watching the process. For some reason I couldn't hear anything. Was there audio? I would have loved to hear you explain your process. 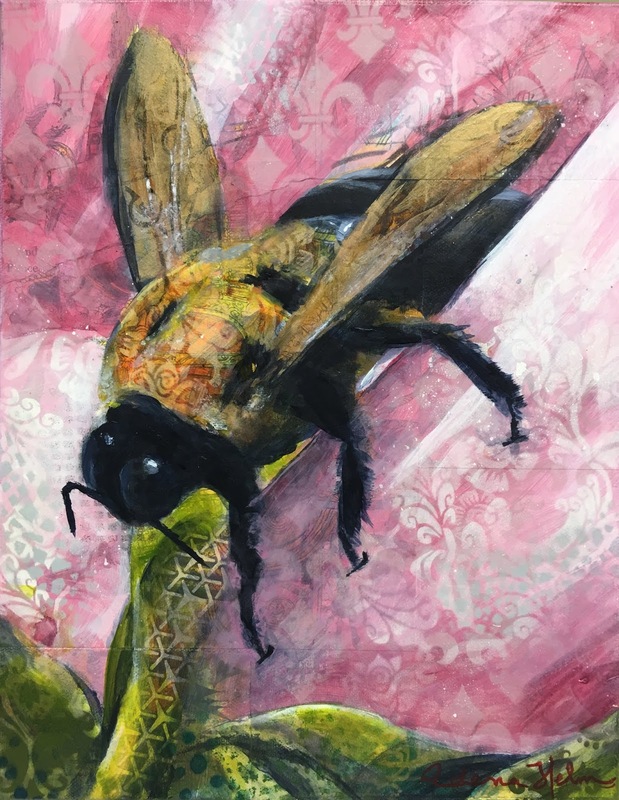 I like all the Layering and stenciling and that bee is gorgeous.